I DIRECT like a girl, because I am one. 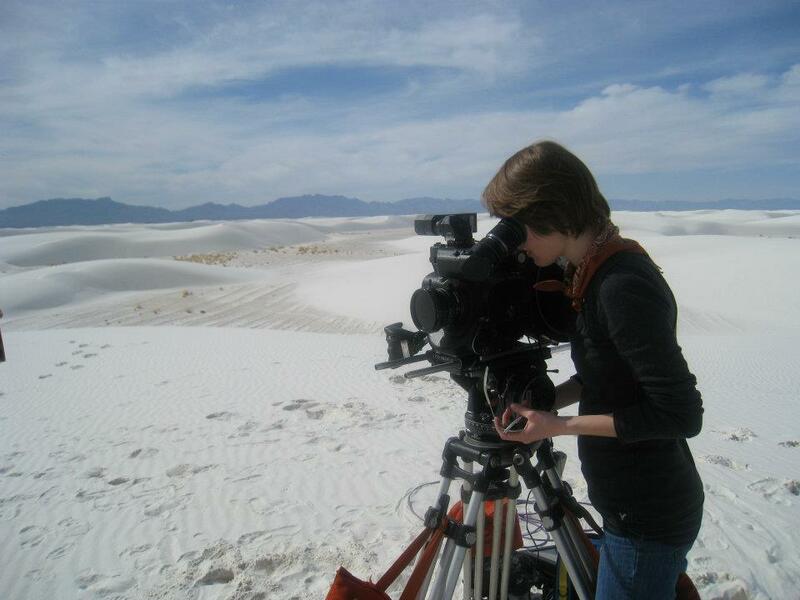 This is me behind the camera during my 35mm thesis film shoot in 2012. I saw this video ad campaign from Always on YouTube today. It was directed by documentary photographer and filmmaker Lauren Greenfield, who's previous projects, including "Girl Culture," focus on what it means to come of age as a women in our world. In our daily lives, we are relentlessly bombarded with ads - on TV, on our phones, on the computer, and even now in movie theaters before the previews, which themselves are ads. In sifting through all the noise constantly thrown at us, it's refreshing to see an ad like this one, that takes on an issue for young girls and women and brings it into the spotlight. In a matter of days, the video has been viewed over 28 million times. I wish there were ads like this one when I was growing up. At 12, I was the youngest girl in my grade. I had glasses and braces and didn't know what to do with my short haircut. While digitizing my home movies, I recognized a noticeable change in my presence on camera. I went from a care-free and outgoing kid to a young girl who was somewhat reserved and very quiet. A listener. As a young woman, I try to break free of that mold -- succeeding most of the time, but still there's that nagging pull to retreat, listen, and observe instead of speaking up. Who I am in my head is a much more outspoken and opinionated person. I hope that for the future generations of girls, their care-free and confident self is the one that carries through to adult hood with now qualms about what it means to be "like a girl." I'm writing about this because I could relate to this issue growing up and feel so strongly that changes must happen in our culture for all girls and women. So I'm proud to say that I run like a girl, swim like a girl, I talk like a girl, I watch movies like a girl. I laugh and play and love like a girl. I photograph like a girl. I direct like a girl.